DUBLIN, IRELAND- The rematch between Ireland and the All Blacks has captured the attention of the entire world in the wake of Ireland’s famous victory in Chicago two weeks ago. The commotion after Ireland’s famous victory in Chicago was an infectious reminder of the power of a single victory, erasing 111 years of hurt and inspiring the world of rugby, let alone the island of Ireland, to believe that New Zealand are actually fallible. But, be wary of the reigning two-time champions when they take the pitch. If the 6°C forecast is any foreshadowing of the match ahead, then New Zealand would love nothing more than serve up a a fresh, bitterly cold plate of revenge in front of the Aviva Stadium’s sea of green supporters. The All Blacks, who make five changes going into the fixture can be counted on to be much sharper than their performance in Chicago. Captain Kieran Read and head coach Steve Hansen have assured a smarter, more tactical performance than that of two weeks prior, and Hansen’s revitalised lineup goes to show that the visitors truly mean business. Israel Dagg moves into the #14 jersey to replace Waisake Naholo after the Crusaders star put on an impressive display in New Zealand’s 68-10 thumping of Italy last weekend. In the midfield Anton Leinart-Brown and Malakai Fekitoa resume their partnership for the second week in a row, a two-try outing for Fekitoa against the Italians making Hansen’s decision to bench George Moala and Ryan Crotty worthwhile. The final two changes come in the forwards with the return of Brodie Retallick and Sam Whitelock, both of whom are once again fit enough to resume their pairing at lock. For the Irish, Joe Schmidt has named a single change to the lineup that started against New Zealand in Chicago two weeks ago, Sean O’Brien returning to his familiar position on the flank in replacement of the injured Jordi Murphy. Schmidt’s decision to field a completely new 15-man lineup against the Canadians last weekend has sorted out the often-problematic situation of the Irish bench; Connacht stars Kieran Marmion and Finley Bealham retain their spots while Ulster’s Paddy Jackson replaces Joey Carbery as back up to Johnny Sexton. The All Blacks stratagem must have an absolute focus on precision. Their usually daunting line-out was uncharacteristically imprecise in Chicago and scrummaging against the Irish two didn’t produce the front-foot ball that historically made New Zealand so deadly off midfield set pieces. 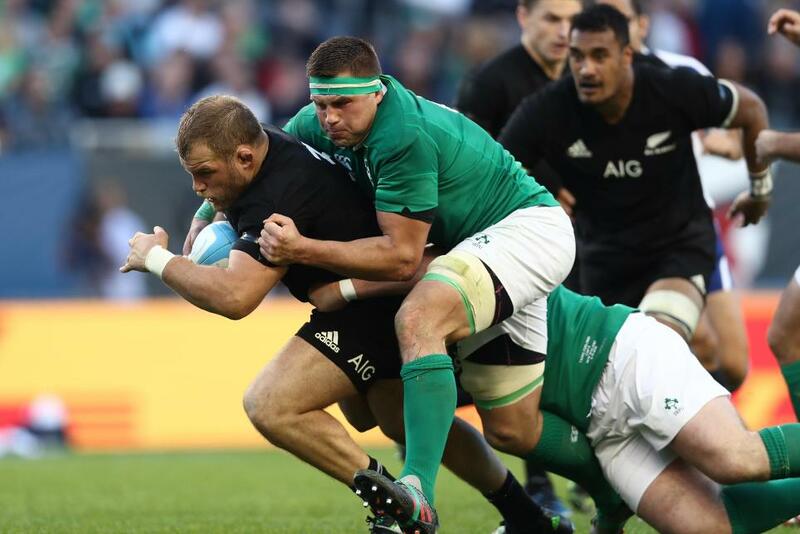 The new combination of Whitelock and Retallick should do wonders for the Kiwi scrum and their matchup/battle against Ireland’s Devin Toner and Donnacha Ryan will be key for securing ball at the line-out. New Zealand will have to counter Ireland’s use of Toner’s colossal 6’7″ height at the front of the line-out and make sure they’re not forced into throwing to the back jumper on every throw like they were in Chicago. Most importantly for the All Blacks, though, will be there start of the match. The longer Ireland remains in the match, the more they will be inspired to a second consecutive victory. If New Zealand start the match early and powerfully they’ll have the opportunity to put the Irish resistance to bed before the match is over. On the other side of the ball, Ireland will need to properly balance wide-play and kicking tactics to the same degree they succeeded in achieving in Chicago. Sexton and Murray were exceptional with their positional awareness and took advantage of the sloppiness of New Zealand’s back three in Ben Smith, Naholo, and Savea. The Irish were also to spread the field with the likes of Henshaw and Kearney, both of whom had massive success in the wider channels outside of New Zealand’s midfield pairing. Above all else, the boys in green need to replicate their defensive performance from two weeks ago. Andy Farrell’s new defensive scheme put plenty of numbers into the breakdown with support on the edges effectively blocking off the inside channels. Outside of the ruck the Irish were very uniform in their defense of line and were speedy enough to disrupt most of New Zealand’s attacks. The Kiwi’s will certainly be prepared for the revitalised Irish defense tomorrow, and it will be fascinating to see how Schmidt and Farrell combat these new tactics. This match will hopefully be nothing short of explosive theatrics. The match starts at 1730 Irish time (1230 EST, 0930 PST) and can be watched on ESPN3 online. Do not miss this match, it might just turn out to be the most exciting match of the year. Ireland XV: Kearney; Trimble, Payne, Henshaw, Zebo; Sexton, Murray; McGrath, Best (capt), Furlong, Ryan, Toner; Stander, Heaslip, O’Brien. Replacements: Cronin, Healy, Bealham, Henderson, Van der Flier, Marmion, Jackson, Ringrose. New Zealand XV: B Smith, Dagg, M Fekitoa, A Lienert-Brown, J Savea, B Barrett, A Smith; J Moody, D Coles, O Franks, B Retallick, S Whitelock, L Squire, S Cane, K Read (capt). Replacements: C Taylor, W Crockett, C Faumuina, S Barrett, A Savea, TJ Perenara, A Cruden, W Naholo.